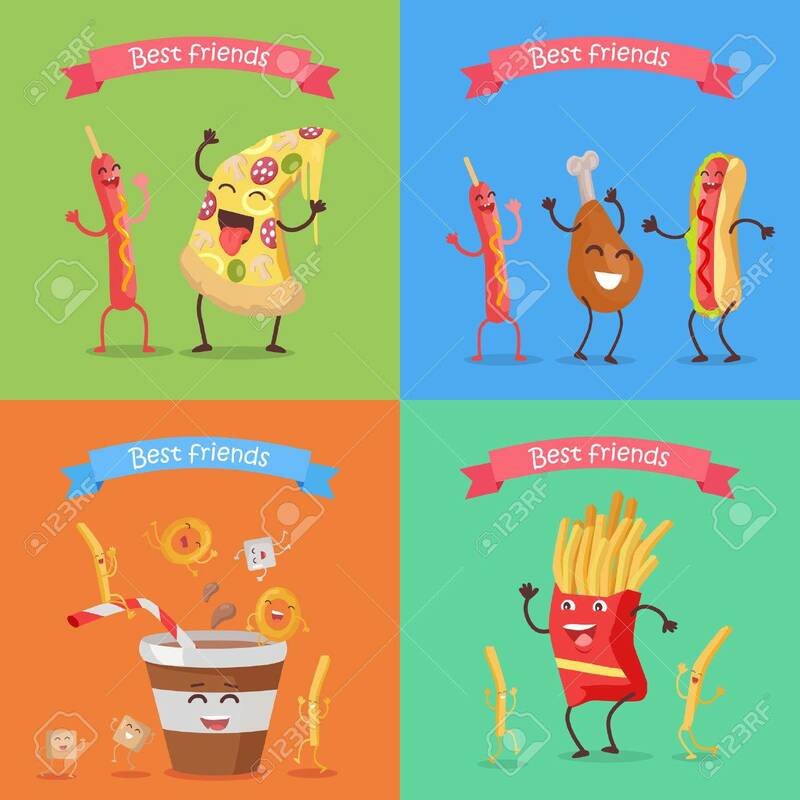 Best Friends Sausage Pizza Chicken Hot Dog Soda Cola Fries Cartoon Characters. Funny Food For Childish Menu Conceptual Banner. Meal Having Fun Concept. Dancing Happy Meal. Vector Design Illustration Royalty Free Kliparty, Vektory A Ilustrace. Image 67678657.